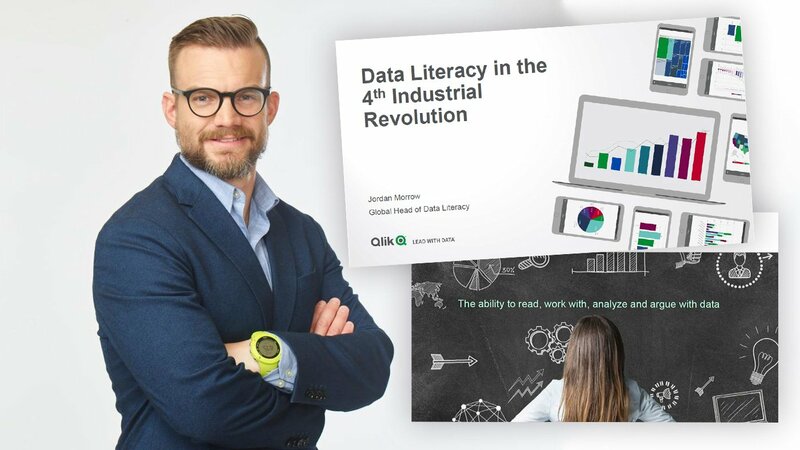 Sign up today for our 30-minute crash course in data literacy on April 16 at 13:30 CET with expert Jordan Morrow, Head of Data Literacy at Qlik. In a recent Climber customer survey, some 63% of companies stated that BI is critical to their business success, but only 51% use their BI solution on a daily basis. Why? The answer is that making the most of your BI solution comes down to two crucial factors: employee data literacy and usage. If your employees are not trained to use your BI solution properly and cannot interpret what the data is telling them, then it will be hard to get them on board. So what is data literacy and why it is essential to business performance? Data literacy – the ability to read, work with, analyse and challenge data – is a new language in which we all need to be fluent. Indeed, research indicates that there is a direct connection between data literacy and business performance. It has been shown that corporate data literacy boosts enterprise value by up to 5%, representing an increase of $320 to $534m of the total market value of each business. * The bottom line is that employees who are data literate are able to make quicker and wiser data-driven decisions. * The Data Literacy Index, commissioned by Qlik and produced by Wharton School academics and IHS Markit. How data literate are you and your organisation? Why data literacy is crucial to your business performance? The characteristics of a data-driven culture. The importance of leadership and leading with data. How to jump start your data literacy strategy. Please note that the webinar will be in English. We will end the webinar with a live Q&A. Sign up here to guarantee your spot! Sallitut tiedostomuodot: doc, docx, pdf. Bifoga gärna ett kort brev där du beskriver dina styrkor som konsult och vad du kan tillföra Climber.